Beacon House illuminates a path of recovery using tried-and-true clinical treatments, neurofeedback, and prevention education. 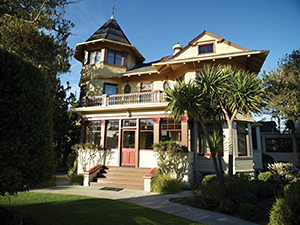 In passing by Beacon House on the Monterey Peninsula, you might glance at the gorgeous Victorian and think of it as nothing more than a beautifully restored home that deserves a spot on the National Register of Historic Homes. What happens inside the oval windows, the rounded tower with spiky decorative accents, and gabled roof, however, is far grander than the historic building’s architecture. Beacon House houses a recovery program for alcoholics and drug addicts that is changing lives. With more than fifty years of experience in the treatment industry, the not-for-profit Beacon House continues to support men and women age eighteen years and older in their recoveries—from acute detox through after care. It operates two programs: residential and outpatient. But even before a person seeking treatment becomes a Beacon House client, the Beacon House staff demonstrate their care and commitment to addiction sufferers’ recoveries. The center employs its Integrity of Choice initiative from the very first contact. Once Beacon House has been deemed the proper fit, clients participate in a battery of assessments, including a formal physical, the Millon Clinical Multiaxial Inventory, an interview with a case manager, and psychological-related tests. The completed battery creates a database upon which the client’s treatment plan is based. Unique to Beacon House are the psychological tests. The staff use the assessments to inform the proper protocols for neurofeedback, which is one of the tools used in treatment. “It helps people unconsciously change brain wave patterns,” notes outpatient director Kurt Johnson, LPCC, CATC. 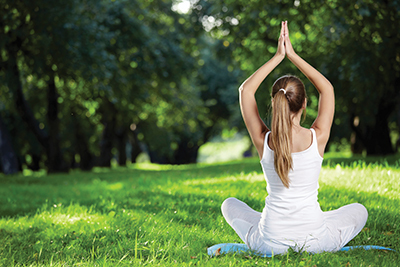 For patients, neurofeedback is painless and effective.